Doctors, nurses, hospitals and other medical providers can be held liable for injuries and fatalities that occur when standard treatment protocols are not followed. When patients present certain symptoms, certain diagnostic tests should be run or a regime of treatment should be initiated. When doctors, nurses or radiologists ignore symptoms or fail to conduct follow-up testing, they may be guilty of negligence. At the Law Firm of Alton C. Todd, our medical malpractice lawyers work with medical experts to evaluate the actions and decisions of doctors and nurses in cases where a patient was injured or died as a result of a medical mistake or negligence. We review a patient's medical records, vital signs, the actions of nurses and the flow of information from attending staff to doctors. We expose the failures in communication or general negligence that is to blame for our client's injuries. If you have suffered injuries or serious medical complications due to negligence on the part of doctors or other healthcare professionals, contact medical malpractice attorneys at The Law Firm of Alton C. Todd today. Schedule a free consultation to discuss your case. Due to changes in the law, a preliminary finding of negligence must be established to bring a medical malpractice lawsuit. In order to proceed, we are typically required to file and expert affidavit or report at the time the lawsuit is filed or within certain statutory deadlines after filing suit. 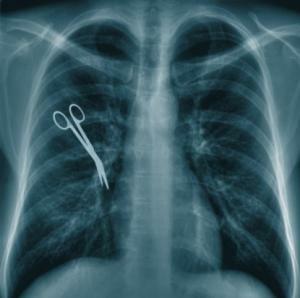 An expert medical report provides a technical evaluation of the actions and decisions of doctors, nurses, and other medical providers indicating how standards of care were breached. Our office will evaluate your case and do everything necessary to initiate a medical expert report. After negligence has been established, our attorneys then begin the process of preparing your case, contacting experts and completing our investigation. Before you agree to sign any release forms or provide a statement to a representative of an HMO or insurer, protect your rights and interests by speaking to our attorneys. If you suffered serious injuries after being treated by a doctor or during a stay in the hospital, contact medical malpractice attorneys at The Law Firm of Alton C. Todd today.